Japanese culture represents the base of different food trends all over the world since the early ages with their Gohan – boiled rice – and their beloved sushi. Japanese people live long lives and they have a low rate of heart disease due to their healthy eating habits. Around the world, people became more conscious about the way they choose their food and considering that this year was the year of the millennials, we sure know that they are very careful with their choices and the impact that their purchasing can have upon their communities. We saw the market ready for the millennial’s lifestyle and the Japanese food being situated in their top choices, therefore, the authenticity of Japan can be found in the top 5 healthy foods with the delicious seaweed and their healthy bowls. Hailed as one of the superfoods for this year, expect to see seaweed on menus. Replacing the much-loved kale, seaweed is a powerhouse of antioxidants, calcium, and vitamins. Best of all, it’s a versatile ingredient that can be used a variety of forms and packs a hit of umami. The many varieties can be used in everything from pasta dishes to salads or even salt. Best of all, it can be found on our shores if you want to try foraging. The report attributes its growing popularity to its alluring umami flavor—which many chefs utilize in soups, sauces, and finishing oils and salts. Wakame has the ability to prevent obesity and diabetes-related disorders by reversing insulin resistance that is due to a high-fat diet. The Fucoxanthin present in Wakame promotes fat burning within the fat cells of animals. 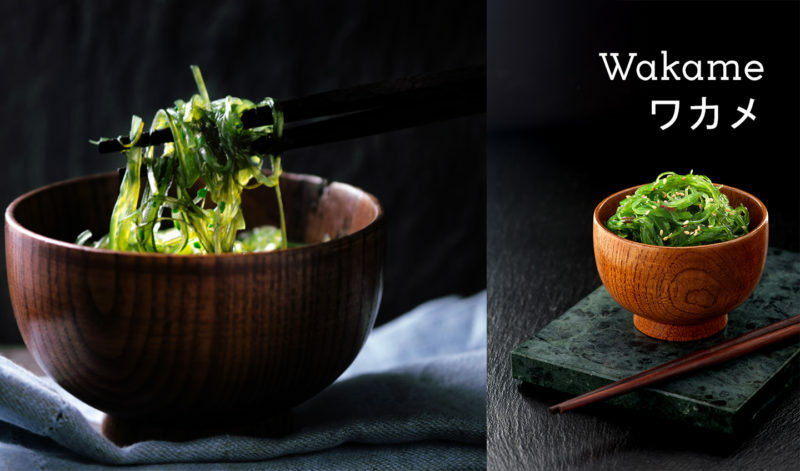 Wakame provides manganese, iron and calcium, three minerals that help to balance hormones naturally. 100g of Wakame provides 15 percent of your daily value of calcium, which is essential for preventing osteopenia or osteoporosis. There is a relationship between seaweed and a decreased risk of breast cancer. Folate, or B12, is an essential vitamin present in Wakame. The fucoxanthin present in Wakame stimulates the liver to produce DHA, helping to reduce the amount of harmful cholesterol in the body. Wakame treatment is decreasing the heart disease rate. The iron in Wakame increases the production of red blood cells and helps with the metabolic enzyme process that the body carries out to digest proteins and absorb nutrients from food. Also, Wakame is a rich source of omega-3 fatty acids, so needed by the human body. This year the bowl trend has moved from sweet to savoury. The portability of a bowl makes it an ideal option for office workers plus eating from bowls taps into mindfulness, as we pay more attention to every bite. Taiko Foods launched this year the hipster cousin of our beloved sushi: Aloha Poke. A vegetarian and a salmon bowl, suitable for a quick and delicious lunch. 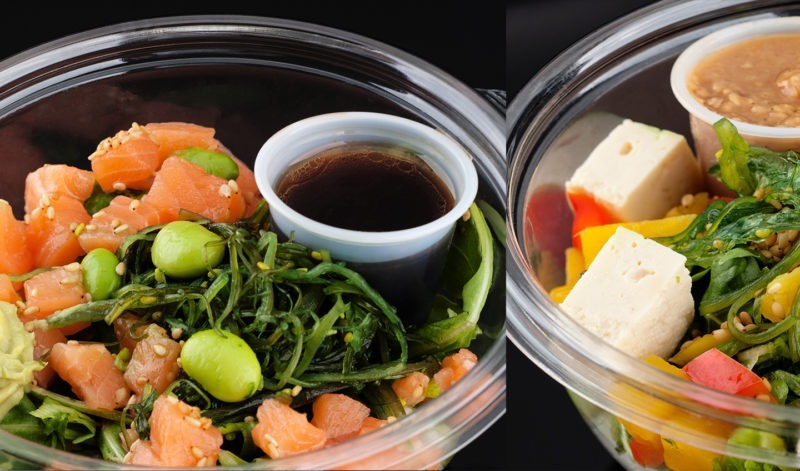 Taiko has used authentic poke recipes as a base to deliver 2 poke bowls whose main ingredients are raw salmon and golden beetroot. With Hawaiian cuisine having many Japanese influences, you will find soy sauce and sesame featuring in marinades and dressings. Bringing an authentic taste of Hawaii to the Aloha Poke range. Beyond the healthy plus that a bowl has, we are definitely talking about a way of eating with our eyes before eating with our mouths. Bowls are very trendy on Social Media because they’re photogenic and people will spread the ideas easily, because of this. You can always mix and match different ingredients and your bowl will look appealing and it will make you enjoy your mean even more. Find these two delicious products in Waitrose and feel free to share the experience with us.